Working with metal can be one of the biggest challenges on the job site. Milwaukee meets the challenge with a complete line of metal working tools. 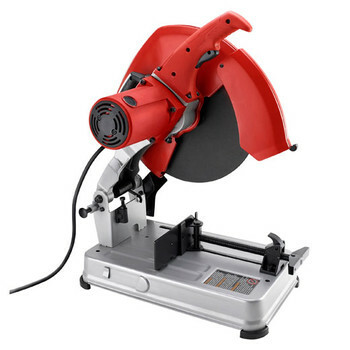 The Milwaukee metal tool line includes band saws, grinders, polishers, shears, nibblers, chop saws and cut-off machines. 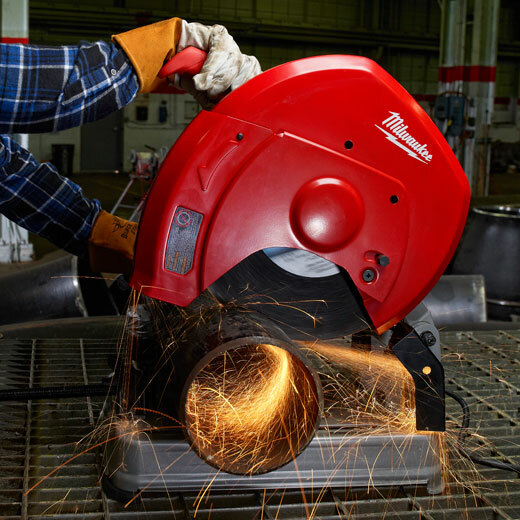 Milwaukee Abrasive Cut-Off Machine, 14"
The 6177-20 14" Abrasive Chop Saw's Powerful 15 Amp, 4.0 maximum horsepower motor delivers Legendary Durability and Performance. 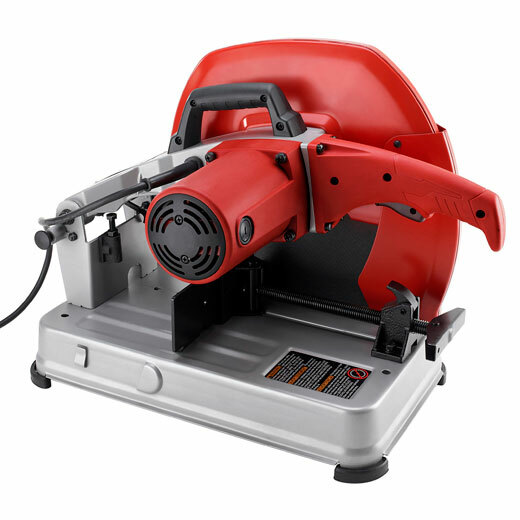 With speeds up to 3900 RPM, the 6177-20 allows for fast cutting of drywall track in bundles, angle iron, conduit, pipe, channels, tubing, and rebar up to a 5 inch maximum capacity. A durable light weight design allows the user portability without sacrificing durability, while its oversized wheel guards provide added protection from debris. A 45 degree miter capacity with an adjustable fence allows for quick and accurate miter cuts without flipping heavy material. The large spindle lock button provides quick and easy blade changes wearing gloves; while the quick adjust vise clamp allows the clamp to be adjusted quickly when cutting different material sizes. Capacity in Bar Stock 4-5/8" by 4-5/8"